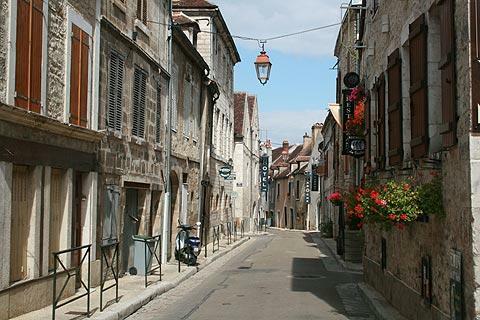 The small town of Chablis is in the Yonne department of the northern Burgundy region, 15 kilometres south of Pontigny. France This Way comment: you will most likely visit Chablis to sample the famous wines of the region, but although it is small the village itself also deserves an exploration - it is a pretty place with some attractive medieval houses, some with ornate door and window openings, and a few other buildings of interest to discover. You can enter the centre of Chablis through the Porte Noel, the gateway that originally controlled access to the medieval village - although it is really now two round towers rather than a doorway! Among the highlights in Chablis are the churches of Saint-Pierre and Saint-Martin - you will notice the horseshoes left on the Saint-Martin church door by pilgrims in the olden-days. The Collegiale Church of Saint-Martin dates from the 13th century (except the belltower added in the 19th century) and is in the roman style. Another notable building is behind the Church of Saint-Martin. Called the 'obédiencerie' it is a substantial house dating from the 15th century and in the typical Burgundy style of the period. The synagogue on Rue des Juifs dates from the same period and is a classified historic monument. Another historic monument of interest in Chablis is a substantial traditional wine press for the village. 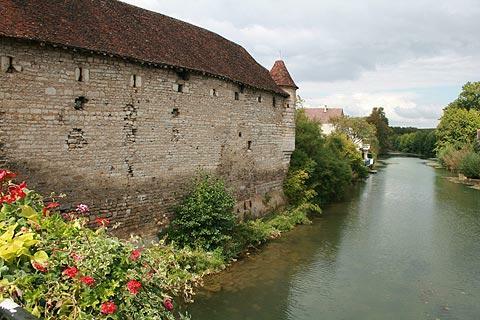 There is a pretty stretch of the village along the Serein River, including an attractive fortified building called the "Tour Mirau d'aval" (because it was downstream - in French en aval - of the bridge) that originally defended the eastern side of Chablis on the side of the river. You can cross the bridge and turn left to walk a little way to reach the Parc de la Liberté, then cross the bridge in the parc to reach the other half of the parc (the promenade du Patis), from where you can turn left and head back into Chablis village centre. After you have explored Chablis you will of course be in the perfect place to enjoy a glass or two of the renowned local wine - wine has been produced in Chablis since the year 854 when monks first settled here, and is now recognised worldwide as one of the best light white wines. There are also ample opportunities to buy the wine in the town. Note: be sure to walk or drive around the local area to see the vines themselves - the vineyards extend around a few adjacent hamlets as well as Chablis itself: Chablis tourist office can suggest several trails to follow. 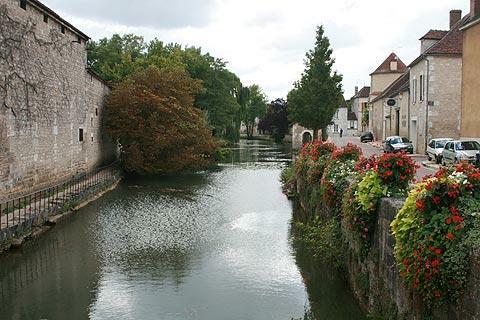 There are several pretty villages in the region - we recommend in particular that you visit Noyers about 20 kilometres to the south-east of Chablis - and a walk through the historic centre of Auxerre is also very enjoyable.